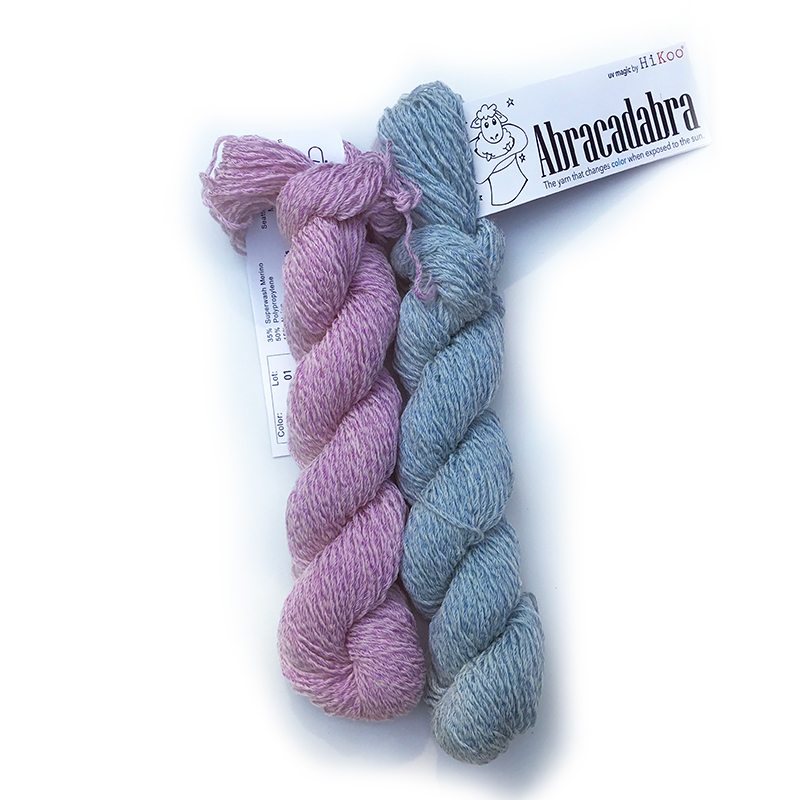 A DK weight yarn that is just as fun to knit with as it is to show off. 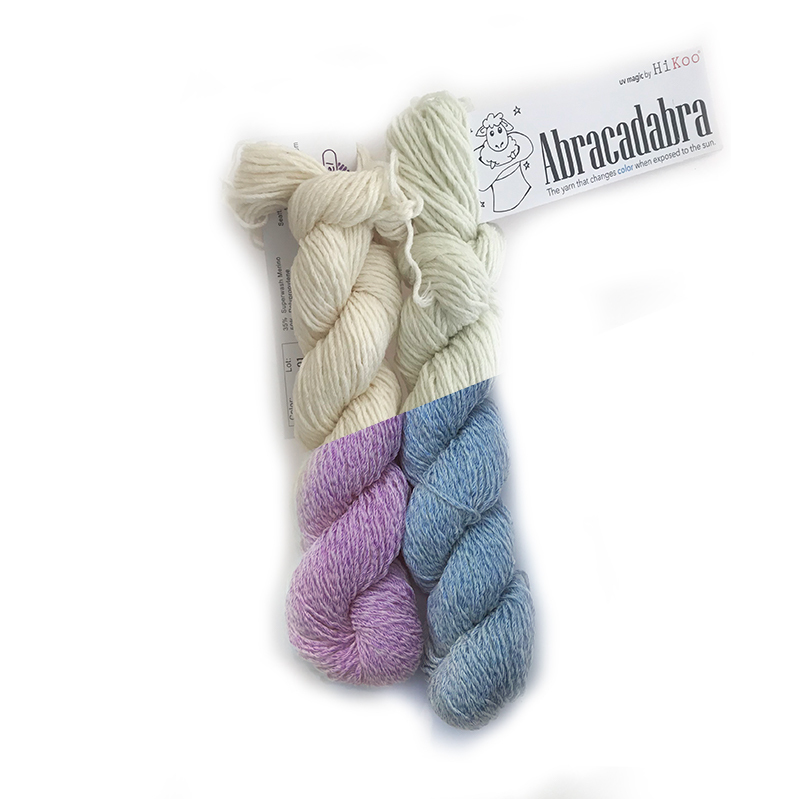 This crowd-pleasing yarn might look white, but when it's exposed to UV light it changes color entirely. 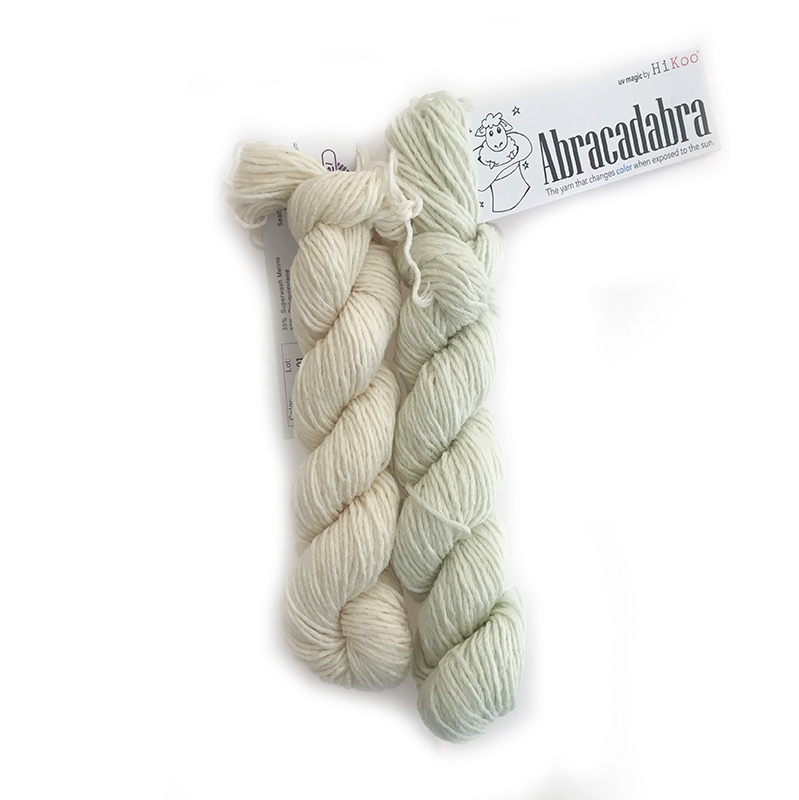 Use this yarn to knit a one-color cowl, hat, or scarf. Or add it to a multi-color project like a The Shifty cowl or a colorful yoke of a sweater.